The antiplatelet drug ticagrelor (Brilique) can now be prescribed on the NHS to reduce the risk of atherothrombotic events following MI. 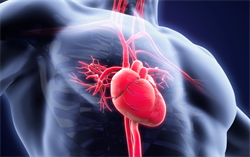 Ticagrelor, in combination with aspirin, has been recommended by NICE as an option for preventing atherothrombotic events in adults who have had an MI and are at high risk of a further event. Treatment should be stopped when clinically indicated or after a maximum of three years. NICE already recommends ticagrelor, in combination with low-dose aspirin for up to 12 months, as an option to prevent atherothrombotic events in patients with acute coronary syndromes (ie, STEMI, NSTEMI or unstable angina). Ticagrelor targets the P2Y12 adenosine diphosphate (ADP) receptor to prevent ADP-mediated platelet activation and aggregation.